Col. Steve Foster narrates film describing the 7th Airborne Command and Control Squadron. Footage of planes, radar room, missiles and explosions. Even in the best international atmosphere, the superpowers face continuing differences about hot to reduce the risk of nuclear war. This final episode analyzes the continuing themes of the nuclear age. - American attitudes toward nuclear weapons are intertwined with American anxieties about the nature of the Soviet State. - NATO relies on a threat of first use of nuclear weapons in response to an attack even by conventional forces of the Warsaw Pact. - To date, there is no defense against nuclear missiles. - More and more nations are acquiring nuclear technology. - Many people confuse arms control with disarmament. The challenge of the Nuclear Age is to find a new way for nations to resolve disputes so they will no longer resort to force. 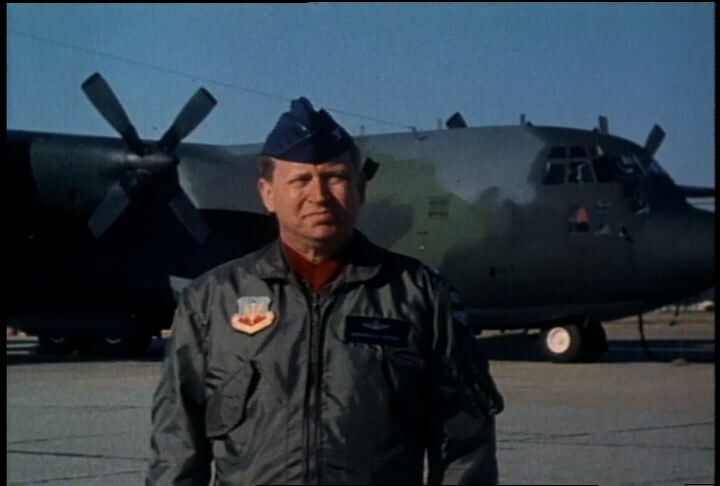 Chicago: “War and Peace in the Nuclear Age; Visions of War and Peace; 7th Airborne Command and Control Squadron,” WGBH Media Library & Archives, accessed April 25, 2019, http://openvault.wgbh.org/catalog/V_0AD94A17C7814ECA9429F10A9E80DB05. MLA: “War and Peace in the Nuclear Age; Visions of War and Peace; 7th Airborne Command and Control Squadron.” WGBH Media Library & Archives. Web. April 25, 2019. <http://openvault.wgbh.org/catalog/V_0AD94A17C7814ECA9429F10A9E80DB05>.